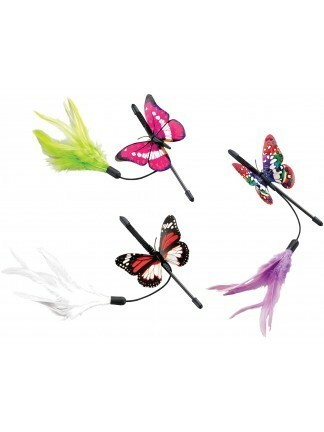 Realistic colorful butterflies on teaser wand with bell and feathers. Three assorted colors. 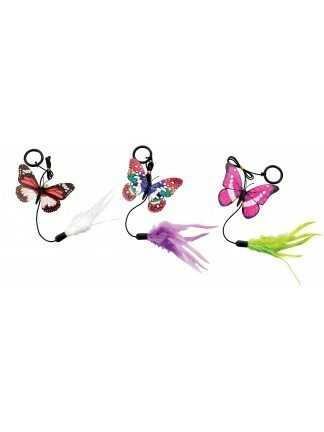 Realistic colorful butterflies with teaser ring, bell and feathers. Three assorted colors. 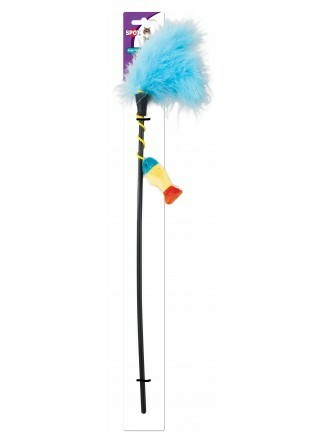 Fun bright colorful toy with feathers on a 16" teaser wand. Includes catnip. 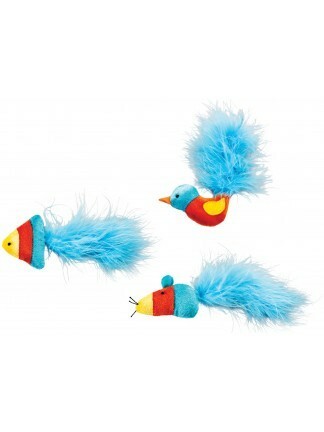 Fun bright colorful toys with feathers. Includes catnip. Three assorted characters. Fun knit pattern with bright felt accents. Includes catnip. Three assorted characters. Fun knit pattern with bright felt accents on a 16" teaser wand. Includes catnip. Colorful textured material in fun shapes. Net rope with bell inside. Great for cat's claws. Three assorted characters. 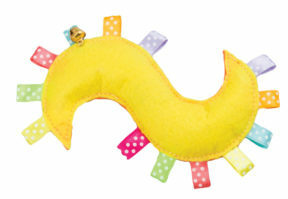 New kitty fun bopper made with springy mesh & foam ball for interactive play. Lights up when bounced. 3 assorted colors. 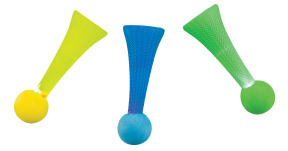 3 piece bright & colorful kitty fun tubes made with springy mesh for interactive play. Catnip pouch inside each tube. Fun texture for a cat's claws. 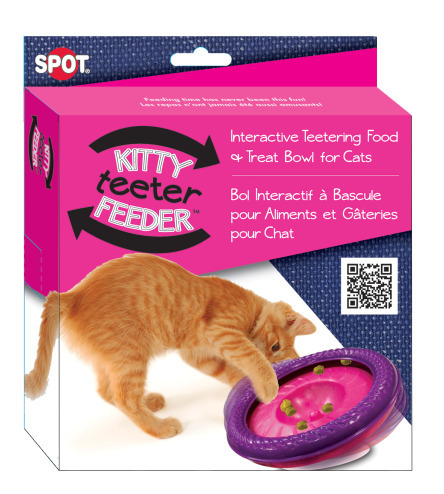 Interactive teetering food and treat bowl with a suction cup to hold the bowl in place. Easily insert food or treats into the covered edge. As the kitty plays with the bowl the food and treats can then fall out. Treat/Food dispensing cat toy that hangs on and door knob. Treats/food are dispensed when the kitty pulls down the pom pom. Adjustable bungee tension to increase the challenge. 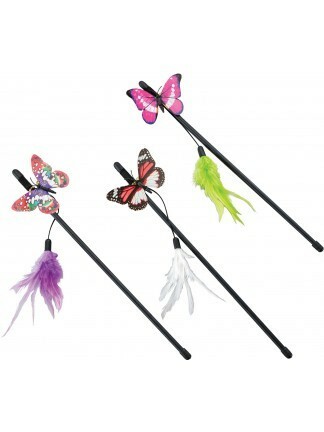 Mini teaser wand is perfect for interactive play time. 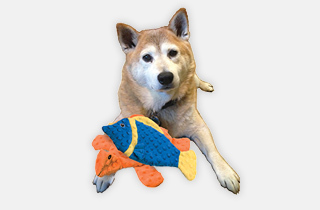 12" in length, fun enticing interchangeable toys will tempt kitty to swat and pounce! 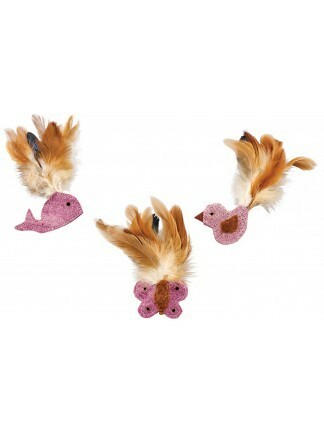 Pillow Puff Tabbies come in bright colors & fun shapes. 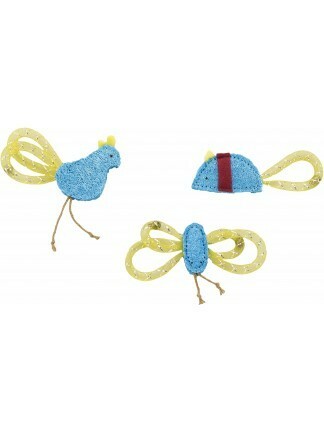 Each toy has crinkle material inside, ribbon loops/tabbies along with catnip.